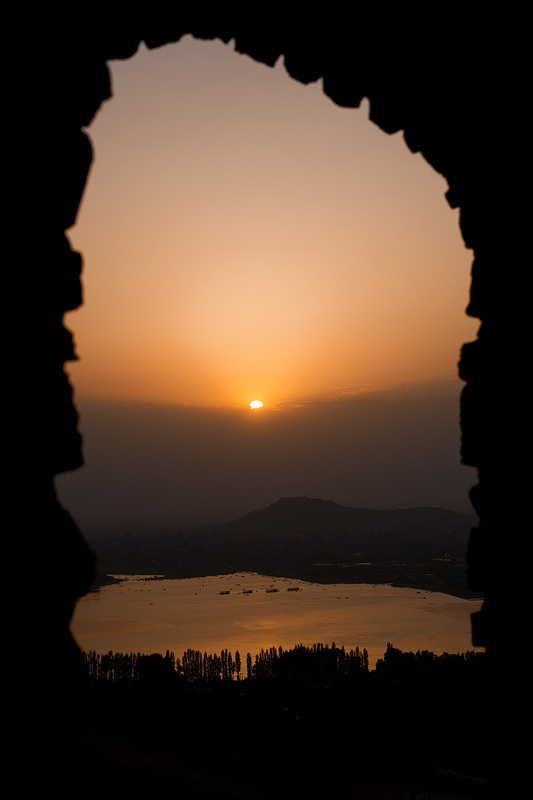 Srinagar fort and Dal Lake seen at a distance from Pari Mahal at Sunset. During their reign, wealthy Mughal emperors had gardens constructed around Srinagar for leisurely, escapist purposes. Ironically, today, a traveler must avoid the Mughal gardens if she wants to escape the hectic crowds. Located on the side of a mountain, Pari Mahal is arguably the most beautiful garden for sunsets. From the looks of it, this garden was certainly the least visited by Indian and foreign tourists who generally choose gardens based on guidebook popularity and seemingly the increased chance of sharing the peaceful environment with as many tourist hordes as possible. 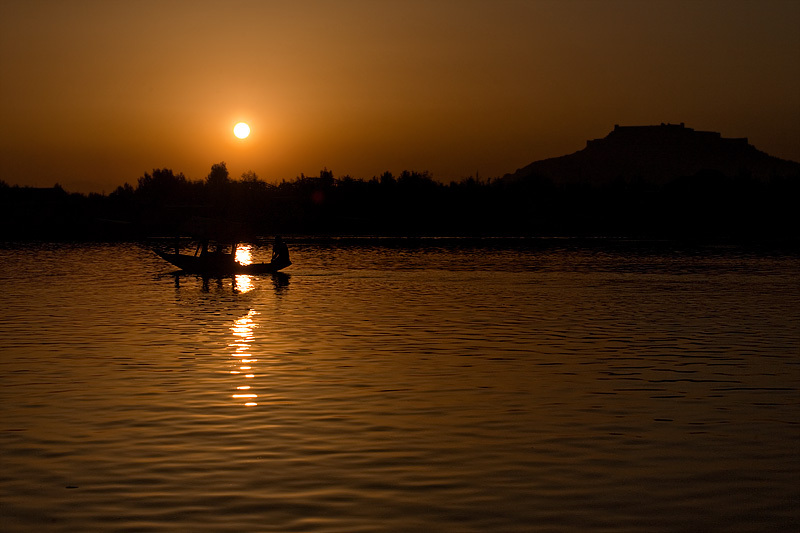 Srinagar fort and a lone shikara from Dal Lake at sunset. Srinagar fort is currently occupied by the Indian military who are, themselves, unwelcome guests in Kashmir. As a result, I was unable to approach the structure for images but I'm thinking it wasn't a terrible loss. Larger structures, such as forts, are often better seen in its entirety instead of up close or piecemeal. Archived photos (on the weekends) concludes. Stay tuned for tomorrow's regularly scheduled Thailand photos.